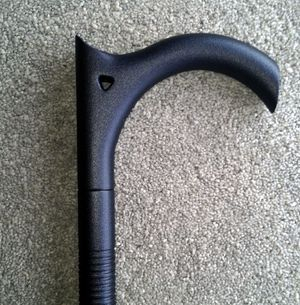 CANE HANDLE ONLY - FREE SHIPPING TO THE U.S. 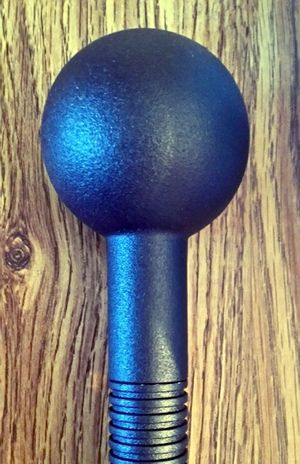 I have a limited supply of these Black Billet Knob Handles. These are the original handles from the Black Billet series and will fit any of my previous canes, either the natural finished shafts or the black finished shafts. They are structurally sound and very strong. The Knob Handle is 1-3/4 inches wide and 2 inches tall. 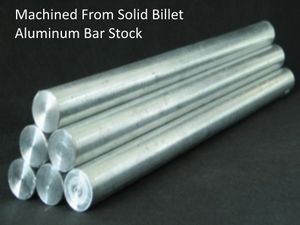 They look really good on the natural aluminum shafts. Get one if you can. These probably won't last long.